This wasn’t supposed to be a good year for soybean yields in Arkansas. But there it was: a new state-record 118.8 bushels per acre, harvested by James Wray near Payneway in northeast Arkansas. And not only did James Wray break the 100-bushel barrier for the first time, but his mother, Annette, and father, Eddie, did, as well, with his mom’s field beating his dad’s by a little over one-tenth of a bushel, 109.843 bushels compared to 109.701 bushels per acre. They are believed to be the first farmers from northeast Arkansas to record 100-bushel-plus yields for the Arkansas Soybean Association’s Grow for the Green soybean yield challenge. Most of the previous 100-bushel producers have come from a relatively small area around McGehee in southeast Arkansas. 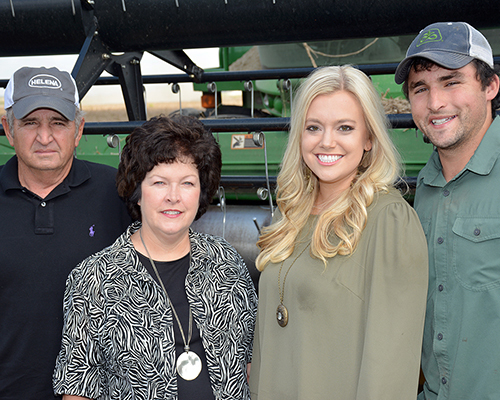 Henard Farms is operated by Raymond and Tammy Henard, along with their children, daughter Ashliegh and son Adam and his wife Natalie. 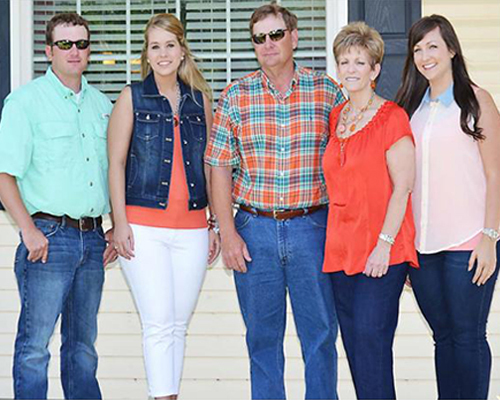 Raymond has been in the farming business for 26 years, tracing his agricultural roots to spending his boyhood days with his grandfather who farmed 40 acres near Dyess. Raymond's father was a career military man. While growing up Raymond spent the summers on his grandfather’s farm and acquired a love of farming and the outdoors. Two and half decades later, the Henards' farming partnership farms 2,150 acres of which 1,946 are rented and 204 are owned by the family. That's more than five times the number of acres Raymond farmed his first year. The Henards have a proven track record while giving special consideration to the environment. Raymond states, "It's our number one asset. 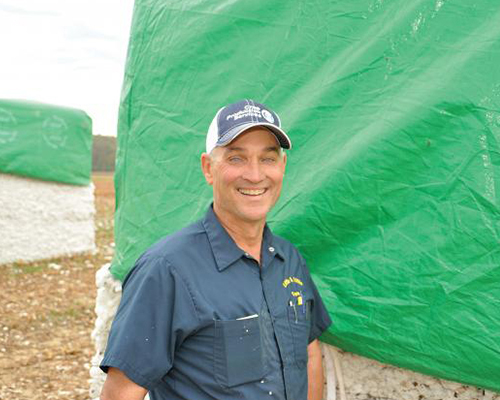 We do everything we can to maintain it.” Congratulations Henard Farms for this accomplishment! 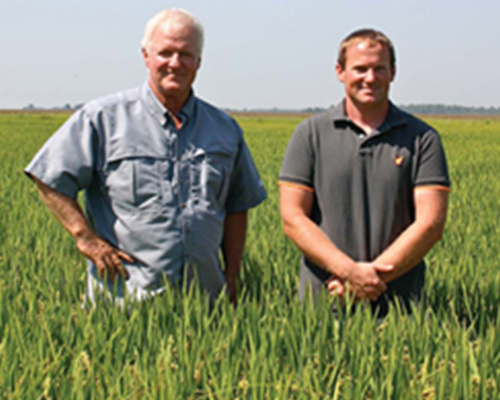 Johnny Little was nominated by Steve McPeek of Bayer CropScience for the 2013 Delta High Cotton Award. Johnny farms a little over 1,500 acres each year with 1,175 being cotton. Johnny sets himself apart by his willingness to try new things, thinking outside the box and to adapt to changes in production and market. You can see the featured article here. Delta Farm Press to view the complete article on Johnny and his farming operation. Congratulations Johnny for this accomplishment!